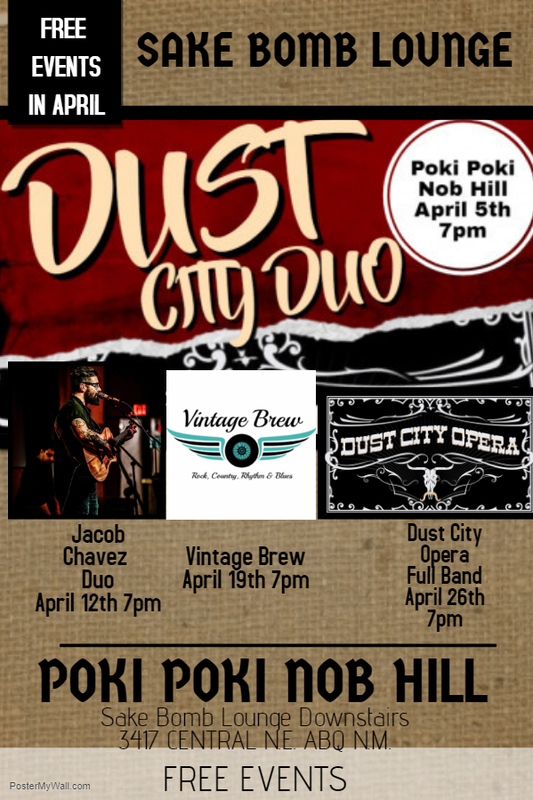 Live music from the Jacob Chavez Duo. Happy Hour is 2pm-6pm so come early for great deals and stay for live music. It's a free event. Family friendly. Jacob Chavez is a local songwriter and instrumentalist best known for his work with Albuquerque based Americana ensemble Silver String Band. His bourbon soaked approach to songwriting expresses a honest and heartfelt (sometimes cynical) perspective on life and its toils.